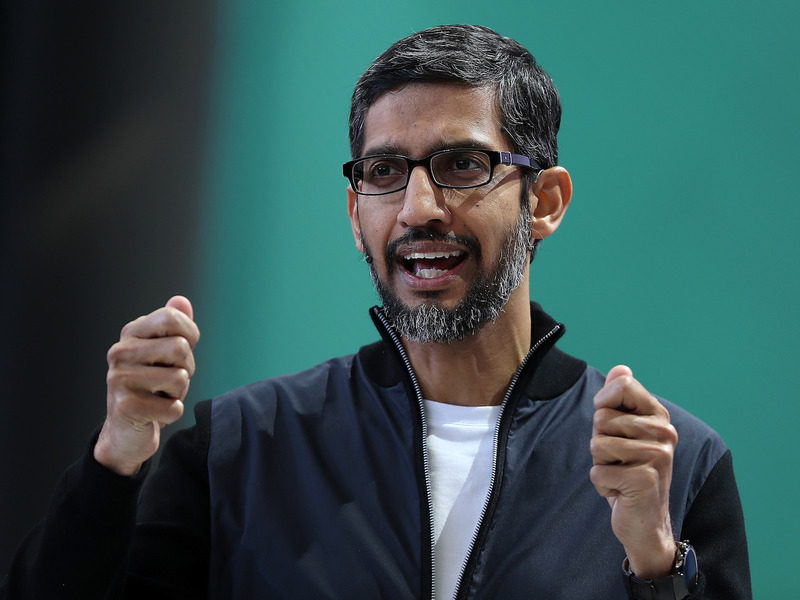 Pichai sought to “smooth over tensions” after Google decided to sever an agreement to help the military analyse drone video footage. Google’s decision to sever the contract followed a protest by thousands of Google employees who objected to the company’s relationship with the military. But Google has never said it would stop working with the military on projects that didn’t violate the company’s values. Google CEO Sundar Pichai paid a visit last week to the Pentagon and met with officials with the US Department of Defence in an attempt to “smooth over tensions,” according to a report Friday in The Washington Post. Previously, Google had said that Pichai travelled to Washington DC to meet with GOP lawmakers about such issues, as the company’s possible re-entry into China as well as recent accusations made by President Donald Trump that the company biases its search engine against him and political conservatives. Google saw itself divided this year when word leaked the company was participating in Project Maven, an effort to use artificial intelligence to help the Defence department analyse drone video footage. More than 4,000 Google employees signed a petition demanding managers put an end to the relationship and promise to never help build AI-enhanced weapons. Pichai agreed to do exactly that when he released a set of principles that would govern Google’s work with AI. Google’s management also said it would not renew the Maven contract, but when it came to the issue of working with the military on non-lethal activities, Pichai made his position clear. Since then, Google has signalled that it wants to maintain strong ties to the defence sector. Last month, Google Cloud Platform hired Andrew Moore as the new chief of Google Cloud AI. Moore, the former dean of the school of computer science at Carnegie Mellon University, is co-chairman of an AI task force created by the Center for a New American Security(CNAS), a think tank closely aligned to the US military. As has been pointed out, there’s a lot of work that Google could do for the government and defence sector that has nothing to do with weapons, such as providing email, data storage and other cloud services. Google is obviously very interested in vying for that kind of business.